With modern pieces starting at £180 for storage systems and £870 for tables, Lozi’s furniture collection offers elegantly minimal designs full of personality. From a beautiful selection of seating, storage and table options to Lozi's first bed frame, our collection of modern plywood furniture is ideal for any contemporary home. Carefully designed with small living spaces in mind, each piece offers clever design features adapted to modern living. More information on each design can be found in the product pages of our Online Shop. We believe furniture should be personal, and so offer a wide range of customisation options for all our larger furniture pieces. Each piece can be made to specific dimensions to fit perfectly into your home and we offer a variety of finishes from sustainably sourced wood veneers to non toxic paints, and can accomodate bespoke finishes and paint colour upon request. We can also create a one of a kind bespoke design, either adapted from a piece in our collection or created completely from scratch. Please explore the Bespoke Furniture section for more information. Made from the highest quality sustainable birch plywood, Lozi's bedframe and bedside tables make for a peaceful and understated room. Available in a choice of veneers, they have ample storage and are specifically designed for small bedrooms. Bed Frame - from £780. Bedside Tables - £480 a pair. Made from the highest quality birch plywood and with a beautiful textural edge grain pine top this stunning new table would be the perfect centre piece for any room. This beautiful table can be made to any length, from 180 to 300cm. Made from the highest quality solid oak and birch plywood, both this bench and shelving system feature the same curved plywood joint. Both can be made to exact measurements. The shelving system is priced per layer. Named after an upcoming collaboration with the iconic Rio Cinema in Dalston, East London, the Rio Chair is part of Lozi's luxury collection. 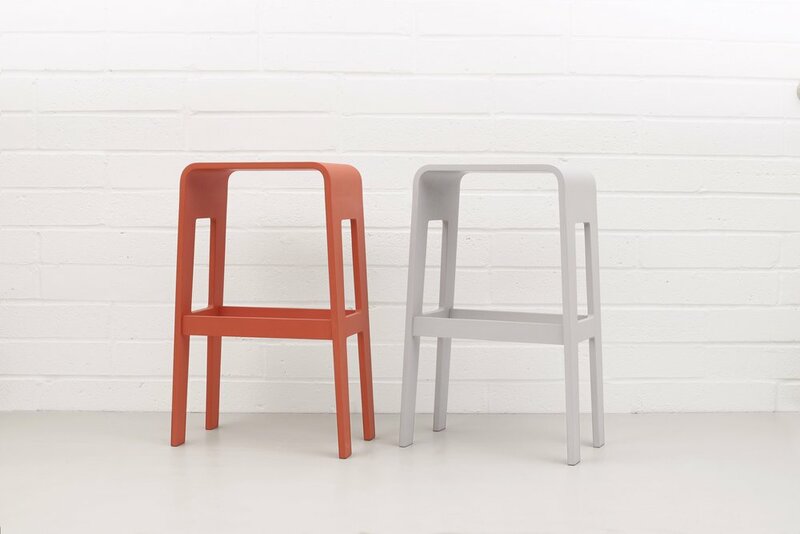 Lozi also offers a curved stools, a bar stool and a standard stool, each made from curved pieces of plywood. Three clean and elegant designs round up Lozi's collection. The modular storage is an adaptable solution for small living spaces. Lozi's cofee table features drawers that double as trays and the chest of drawers is one of our most popular designs, a charming addition to any home. Beautifully designed and made to the highest standard, Lozi's plywood furniture is ideal for any modern home. Find all of Lozi's plywood pieces in our online shop! Or contact us for a bespoke order !